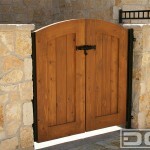 Dynamic Garage Door also specializes in custom designing high quality architectural pedestrian and driveway gates. 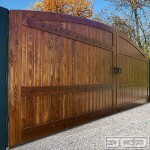 Like our garage doors and shutters, we only use the finest hand-picked species of woods to handcraft our custom gates, this ensures a high quality product that is as durable as it is architecturally appealing. 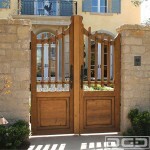 Wood species such as Western Red Cedar, Select Tight Knot Cedar, African Mahogany, Teak and reclaimed woods of variant species are only some of the solid woods used in the manufacturing of our designer gates. 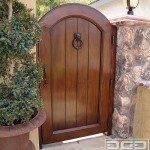 Because we are dynamically different, our modern designs include materials such as steel, glass, copper and eco-friendly materials that help preserve earth’s natural resources. 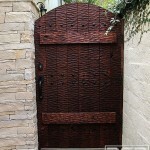 Depending on the project and budget at hand there are numerous crafting techniques used to manufacture our custom designer gates. 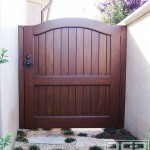 Some of our custom gates are built on structurally solid, heavy-gauged steel frames and wooden overlay designs that provide a sound installation that will last many years. 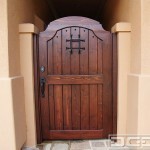 Traditionally accessible techniques such as the centuries-old mortise and tenon joint are still high quality woodcraft applications that are applied in today’s skilled woodworking projects. 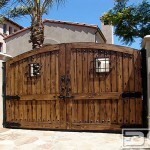 Dynamic Garage Door offers high quality designer gates at almost every budget level that will satisfy each individual project. 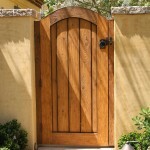 We welcome new challenges whether you’re looking for a rolling or swing-leaf gate that needs to be aesthetically pleasing as well as functional. 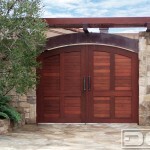 With years of experience in the architectural design of custom garage doors, Dynamic Garage Door’s design team can create a vast array of design to suit most any architectural design style. 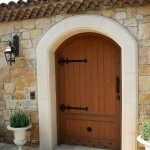 Choose an architectural style from our Traditional Coastal Cottage, French Campestral, Mediterranean Revival, Spanish Colonial, Tuscan Renaissance, Mid Century or Contemporary Collections. 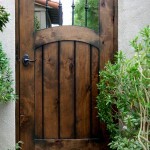 Let us know what features or options you’re looking for and we’ll custom-design it for you. 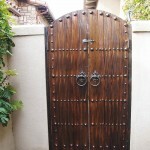 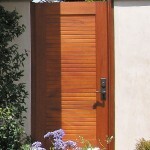 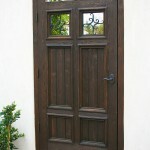 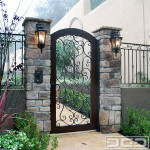 Gate automating is an optional feature that our custom driveway gates are usually paired with. 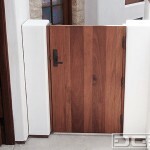 Big names in the industry like Marantec, Liftmaster, Genie and Linear allow us to safely integrate automatic operation of our custom driveway gates. 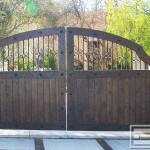 Security, reliability and effortless operation of our designer driveway gates make our custom designer gate product line a thriving success. 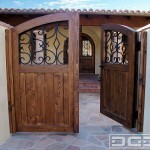 Call our customer service center today and schedule a non-obligation consultation to find out what Dynamic Garage Door has for you!